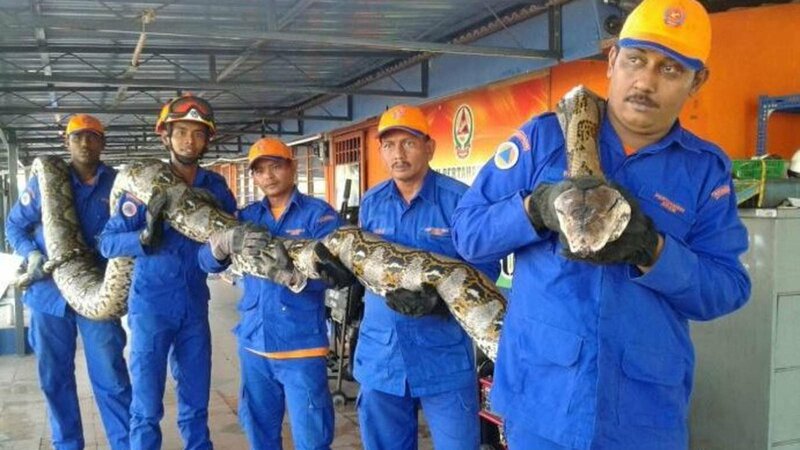 It's also longer than Medusa, the longest captive snake on record, according to Guinness World Records. In October 2011, Medusa, a reticulated python (Python reticulatus), measured 25.1 feet (7.67 m) at her home in Kansas City, Missouri, Guinness World Records reported. Unfortunately, it died 3 days after capture. Damn! That's some kinda snake. It's length: 26.2 feet, Weight: 550 lbs.